I’m American. All the way through. I was born and raised in California, grew up watching Nick at Nite, and sometimes get teary-eyed watching fireworks on Fourth of July. Hell, the first beer I ever drank was a Budweiser. When my parents took my sisters and I to their villages in China (they immigrated to the US in 1980), it was an incredibly emotional trip. The poverty they left behind scarred me, and I understood who I was on a whole new level. On top of that, it was overwhelming to be in the majority. The color of my skin was the norm. My first language of Cantonese was all I heard. All the food I had was prepared in either a wok or clay pot. It was a life-changing experience that allowed me to understand the parts of who I am in ways I never could in the states. But I didn’t belong there. I’m not Chinese. I’m Chinese-American. And a strange tension comes with that hyphenated identity. 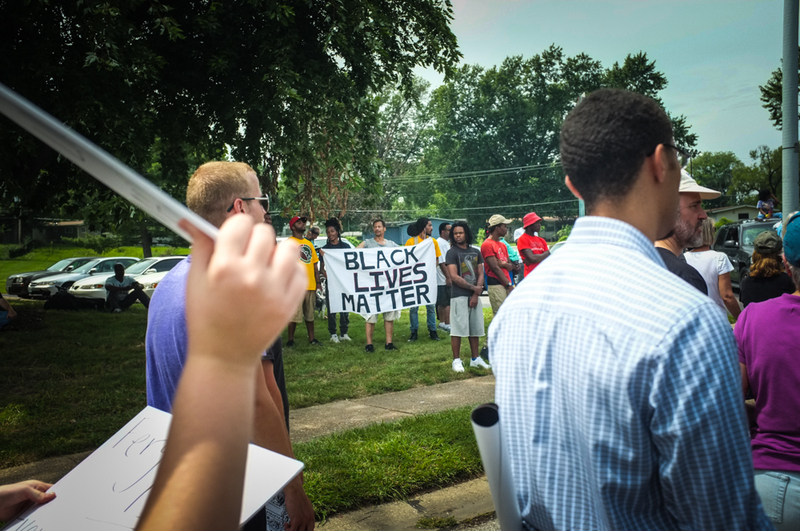 Marching during the one year anniversary of Michael Brown’s death in Ferguson, MO. Yes, for those of us who fit into that category, it’s confusing to be a part of a country with such a dynamic. We’re not white and don’t have a long legacy of privilege. We’re not black and haven’t suffered the centuries of oppression in this country. We’re not Native and didn’t watch our land and people be taken away. We didn’t really have much say in creating that history, but want to be here. We still desire to live in the regulations and implications of that history somehow because it’s either worth it or simply all we know. So we’ll stay. My post today is going to be specifically targeted toward Asian Americans. It’s a call to Asian Americans to realize that we have a position regarding the issue of #BlackLivesMatter whether we realize it or not. There is no such thing as neutrality. Every choice we make, whether silent or vocal, intentional or unintentional, is part of contributing to the larger system at hand. It seems to make way more sense to do everything we can to be the percentage of Asians who can succeed. To play the game of being American with our heads down, and just be our true selves in the confines of our homes, where our voices only matter to our families and anyone we care about. The inherent desire to want what’s best for ourselves and loved ones isn’t wrong. But how do we pursue such livelihood without it contributing to an oppressive system? 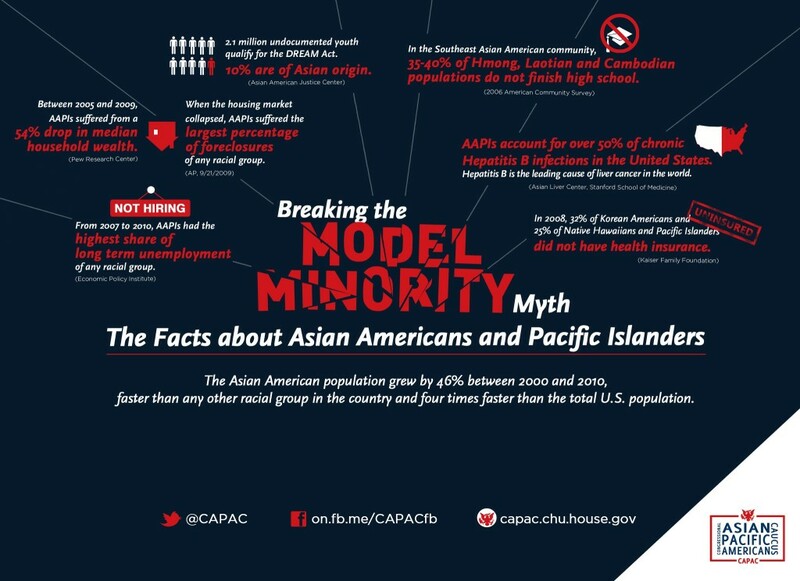 Asians make up 6% of the US population. We are a part of American history now, some of our families longer than others. We are writing it with the lives we are currently making here, in this moment of time. A lot of us feel uncomfortable with that concept. Culturally, we want to respect those in authority and not come into the space and claim it as ours. It took us, our parents, grandparents and generations before us immense suffering and hardship to leave everything for the dream. So many of us settle for living humbly in that reality, pursue the success we’re told to, and just be grateful enough to be here (especially those of us with citizenship statuses). But if we call the United States of America our home, then we must reconsider. Because future generations will look back and ask where their ancestors were during the early 21st century, during a time when black lives were continuing to be taken unjustly. We certainly cannot rewrite this country’s history, but we currently have a unique opportunity to be part of changing the power dynamics that were set before us–before we made whole percentages of the American population. I see fighting against injustices as both honoring the sacrifices of civil rights movements, as well as the sacrifices of my parents who gave up everything to make a life here. That I carry on a legacy of continuing to make this place my home. And I want it to be a place with hope and a love for all of humanity that lives and is to come. This is my country, along with 18 million other Asian Americans. Our silence is consent to the power and privilege of the white majority, allowing the decisions to be made for us. From that, we will then try to navigate ourselves through the myth that perhaps we’re removed from it all. That maybe we all start from equal places, with the same opportunities, and if you work hard enough, we can all make it. But the facts, the statistics, and the stories prove more and more each day that to not be true. There’s a lot I respect about my Asian culture. We’re not afraid of suffering and sacrifice. We honor our elders. We think collectively in a lot of healthy and helpful ways. We make some damn good food. But we also have to remember that fighting against injustice is actually very much part of our DNA as well. I look back on the Tiananmen Square student-protests paralleling the recent protests in Hong Kong. 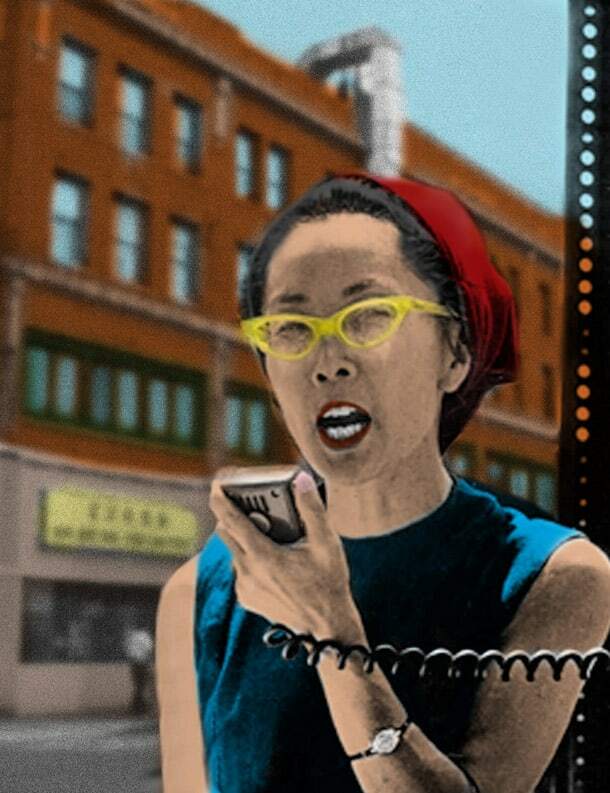 I have been inspired by the incredible Yuri Kochiyama. I mean all I need to say is Gandhi. And these barely scratch the surface of a long list of Asian gamechangers. So why can’t we bring that beauty, strength, and hope here? To accept that the system is imperfect in a lot of ways, and embrace it as part of our own purpose to make it better? Fighting for the reality that #BlackLivesMatter is ultimately the truth that every human being is worthy. That we, as Asian Americans, say no to the dangers of the system, and give up the little privilege we have to pursue justice. Yes, it takes time to understand the issues. It’s going to take an immense amount of emotional and physical energy. It’s going to require us to pay some real costs. We’re not going to be able to avoid facing racial injustices ourselves as we continue on the journey. But imagine with me how worth it all of it can be when we can see less unarmed black bodies die, incarceration rates fall, and empower more black lives in our education system? That the disparities and gaps would become narrower and eventually nonexistent? Can we dream together on how to take down the system’s flaws, and make it truly a place that values all people? So with such a unique role in American history, where Asians are the fastest growing immigrant population, how will our numbers be part of deciding the narrative of the #BlackLivesMatter movement? And ultimately, this country’s? 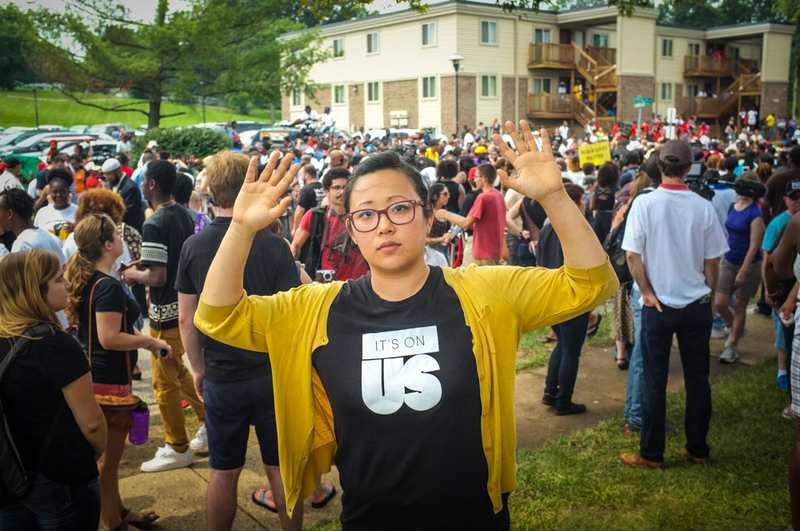 Me at a powerful march in Ferguson, MO. Standing in solidarity with my “hands up” for the #BlackLivesMatter movement. Inspiring. Awesome job integrating facts, history, and a call for corporate responsibility. Thank you Der! Let’s continue to find ways to be in solidarity with each other in this. Would love to hear any thoughts you have!